Many people have read and enjoyed Quo Vadis, but very few know its author. Dearly beloved in Poland, Henryk Sienkiewicz has much more to offer than just one novel. His exotic family background, his adventurous life and his other stories are all worth discovering, especially since Poland has declared 2016 the Year of Sienkiewicz. Henryk Sienkiewicz may be the greatest world success story of Polish literature, but the reasons Poles love him so much lie somewhere else quite different. His 1896 novel Quo Vadis – a tale of love and ambition (and religious conflict) set in the decadent Rome of the 1st century CE – was translated into more than 50 languages and is one of the all-time best-sellers of world literature. In fact, it remains the only Polish book to have found a firm place in the canon of world literature. However, in Poland Henryk Sienkiewicz is mostly celebrated as the author of quite a different series of books, one which you'll find on a bookshelf in every Polish house. The Trilogy is a historical epic set in the mid-17th century, a time of a great political turmoil which almost brought the country to its doom. In this book, Sienkiewicz crafted, much in the vein of American western novels, a most vivid cast of national heroes and villains, portrayed against the exotic backdrop of Poland's 'wild' eastern frontiers. But more importantly he created a consistent vision of Polish history, one shared by generations to come. In a way it was Sienkiewicz who designed how Poles to this day visualise their past as a nation – with all its possible advantages and drawbacks. A Catholic writer of Muslim heritage? Henryk Sienkiewicz was born in 1846 in Wola Okrzejska in Eastern Poland (not far from Lublin), an estate owned by his family from his mother's side. However his father's ancestors were Lithuanian Tatars, an ethnic minority which started settling in the eastern regions of the the Grand Duchy of Lithuania as early as the 14th century. Tatars, who were an important and well-integrated minority (contributing greatly to Poland's military potential) in the commonwealth, spoke Polish but stuck to Islam as their religion (as such they were the only Muslim minority group living in Europe for centuries – find out more here). In fact, the writer's great-grandfather Michał converted to Christianity only in 1755. This may be interesting in the case of a writer whose most important books dealt with the story of ethnic and religious conflict between Christians and pagans in Quo Vadis, and Poles, Turks, Ukrainians and Tatars in The Trilogy – and who himself became the most exemplary Polish writer – a literary founding father of Polish national identity. Sienkiewicz spent most of his early childhood in the Polish countryside, a fact which explains his deep knowledge of the dialect of the peasantry, which he would later use in some of his works. It was also here that he developed his predilection for history books, delighting in the family library. It is said that some of the books read by the boy belonged to a famous historian and relative of the Sienkiewicz family: Joachim Lelewel. In 1858, Henryk moved to Warsaw – which was then (like the whole eastern part of the country) under Russian administration – where he enrolled in middle school and later continued his studies. Before Sienkiewicz made his name as the greatest national writer, he worked as journalist writing feuilletons for newspapers in Warsaw. In 1876, he was able to secure a job that would enable him to travel to America. For the next two years, Sienkiewicz travelled around the country writing reportage for the Polish press depicting the American way of life, with settlers, squatters and businessmen. Sienkiewicz's stay in America coincided with the last years of the Native Americans’ fight for freedom, among them the Apaches. Fascinated by the adventurous reality of the American Wild West, Sienkiewicz even wrote a couple of literary western pieces in the style of James Fenimore Cooper. One of them, a short story entitled Sachem about a Native American chief, the last descendant of his tribe performing a dance in a circus in front of a white audience, remains – with its surprising and shocking ending – one of the all-time classics of Polish literature. Still from With Fire and Sword directed by Jerzy Hoffman, photo: promotional materials. Upon his return to Poland, Sienkiewicz continued writing novels and short stories along with working as a journalist (including a post of editor-in-chief of a conservative newspaper). But it wasn't until 1895 when With Fire and Sword, the first part of The Trilogy, was serialised in Polish newspapers and the writer started to become a national icon. The publication of the book in newspapers was arguably the greatest literary event in the cultural life of the nation. No book ever before or later raised such massive and unanimous interest. People would abandon their chores whenever they could go listen to the new adventures of their favourite heroes. In small towns, the local population would crowd in post offices waiting for the newspaper with the new episode to reach their town. They would listen to someone reading it aloud, and only then would they go back to their chores. During his work on the next two volumes of the book, Sienkiewicz received thousands of letters from readers concerned about the fate of their favourite protagonists and trying to impact the author. Women, in emulation of the female characters from the book, started practising fencing at home. Most interestingly of all, The Trilogy was read by all classes of Polish society: from the aristocracy to craftsmen and peasants – which may be especially surprising considering the way Sienkiewicz depicted the lower classes. It was also read by minorities living in Poland, among others and importantly, by Jews. If any book in Poland was ever read en masse and with such passion and equality, it was this one. The question is: what was so fascinating about this book that it enchanted contemporary readers of all sorts – along with generations of readers to come? In The Trilogy, Sienkiewicz wrote about arguably the biggest political crisis in the history of the Polish state. The moment when Poland, attacked by Turkey and Sweden, and torn by the inner revolts of the Cossacks, found itself on the verge of collapse… And yet somehow managed to survive. This, according to Sienkiewicz, happened thanks to the heroic patriotic efforts of Polish soldiers, whom he descibed more like Medieval knights with their ideals of honour, valour and faithfulness. Trylogia was like the great national epic, like the new Iliad – with Zbaraż, a fortified castle at the furthest eastern frontier, becoming the Polish Troy. It was also like an American Western story with the remote Polish-Turkish frontier, with its so-called Dzikie Pola (literally 'Wild Fields' or 'Wilderness', today part of Zaporozhya) making for the oriental setting for ruthless tales of conflict between good and evil – where good was symbolised by the Polish Christian nobles, and evil was made up of Turks, Tatars and Ukrainians. But perhaps most of all, it was a great adventure story. In The Trilogy, Sienkiewicz created ultimate if controversial national heroes (like Andrzej Kmicic) as well as the worst villains, personifying cunning enemies like Azya Tuhaybeyovich, who in one of the final scenes of the book is impaled in a macabre coup de force – a memory that stays with many Sienkiewicz readers forever. Almost since the publication of the book, Sienkiewicz has been criticised from various sides. The critics accused him of over-heroising his Polish protagonists, excessively idealising their characters – while at the same time portraying enemies as inhuman creatures, more demons than real people (compare the image of Khmelnicky). He was also castigated for using unnecessary cruelty (the impaling of Azya is one good example – see the scene in the Jerzy Kawalerowicz film). More importantly though, he was also rebuked for failing to represent whole groups of Poland's society, like Jews or peasantry, as well as look into more deeper social causes behind the tragic historical events he depicted, like the Khmelnytski Uprising. 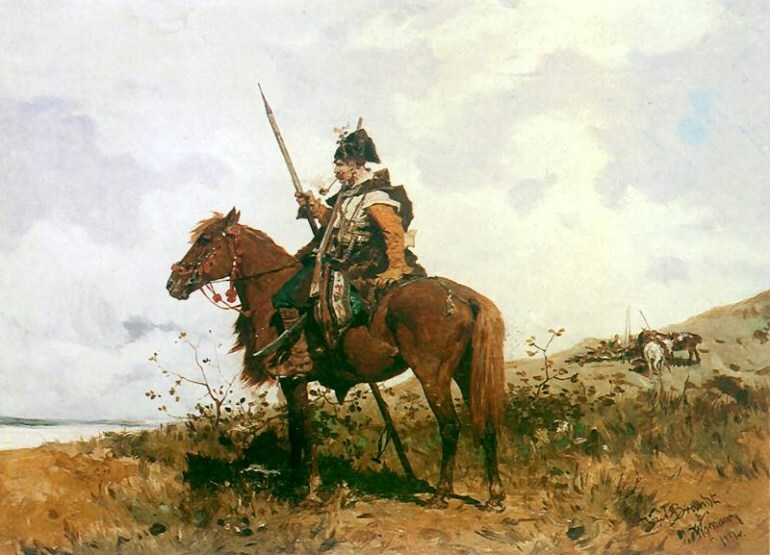 Sienkiewicz’s inability to see social injustice as the backdrop and cause of the massive and ruthless character of this peasant and Kossack rebellion against ruthless Polish lords is one of many examples, symbolic of his writing method as a whole. For Stanisław Brozowski, one of the most brilliant Polish critics of the time, Sienkiewicz was a an apologist of Polish nobility, a social class which he considered as backward and in decay. Thus Sienkiewicz was 'a classic of Polish backwardness and nobility's ignorance'. For others, like Witold Gombrowicz, Sienkiewicz remained a powerful genius, a great master of words that one continues reading enthusiastically despite obvious cheap tricks of his craft: 'a first-class second-class author'. 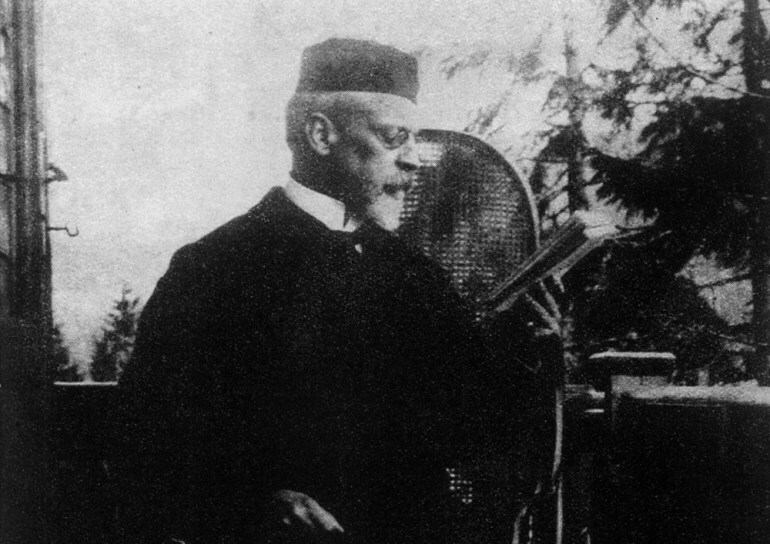 Sienkiewicz's vision of history and his historiosophy may have been particularly influential. For Sienkiewicz sees the Polish-Turkish frontier in the mid-17th century as a battlefield of cultures and religions, a setting for the crash of civilisations. Also his depiction of Turks and Tatars (as Muslims) is rather one-dimensional. This itself may be interesting in case of a writer whose family descended from a Polish Tatar Muslim minority, and the author of an earlier short novel Selim Mirza which emphatically portrayed a Polish Tatar character. As such, Sienkiewicz may not have been the most obvious candidate for the ultimate national writer, and an icon of Polish concept of the nation. Still, this is what he became. Sienkiewicz’s greatest literary success however was yet to come. By writing Quo Vadis (1894), a novel set in ancient Rome during the reign of Nero, Sienkiewicz once again pushed a Christian agenda, his message being the inevitable coming of the Christian era. The book became a huge international success, and is still the greatest hit in the history of Polish literature and one of the first global best-sellers of the 20th century. Quo Vadis has been translated into most major languages in the world (more than 50 up to this day), and the number of copies and later imprints must be impressive, if hard to estimate. Interestingly, Sienkiewicz didn’t profit financially from the great popularity of his book. As a Russian citizen, he was not entitled to a share of the profits from the numerous translations of Quo Vadis, simply because Russia was one of the few countries not to have signed the so-called Berne convention. Had Russia signed the convention or had Sienkiewicz moved to nearby Kraków (part of Austrian Galicia) he would have made an incredible fortune. He decided however to stay in Russia-administered part of Poland, where he profited from the sales of his Polish books (which was also not altogether bad). The global success of Quo Vadis contributed to the 1905 decision of the Swedish Royal Academy to award Sienkiewicz the Nobel Prize. In the years to come he went to publish another set of monster best-selling hits (if only of local fame), like In Desert and Wilderness or Teutonic Knights, books that to this day remain compulsory reading for all Polish school children. Sienkiewicz died in 1916, two years before Poland regained independence after 123 years of partition. 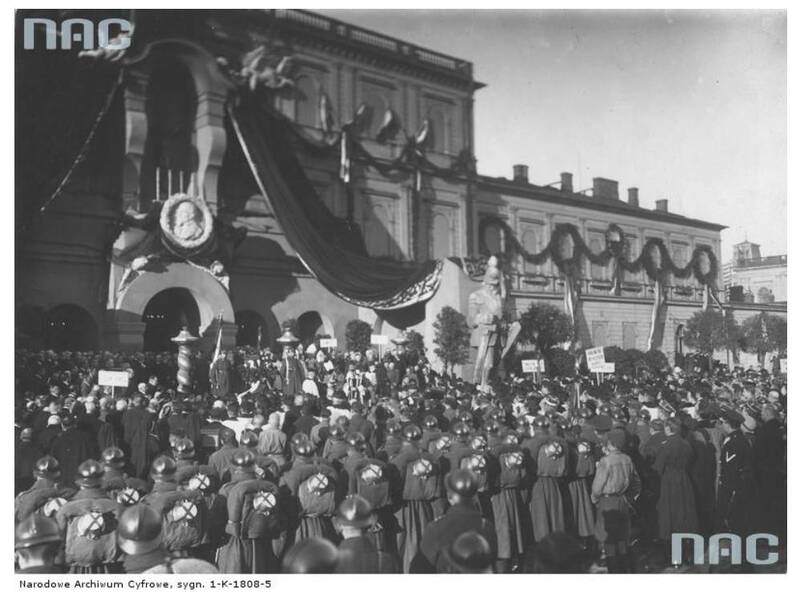 But the political determinacy of many Poles fighting for Poland's independence in WWI owed much to Sienkiewicz’s historical vision and sense of national pride, something he implanted in the minds of several generations of Poles. Author: Mikołaj Gliński, January 2016.